A group of 22 islands located 20 miles southwest of Okinawa, the Kerama Islands are home to a rich, colorful world of marine life and underwater caves. Dive into the blue with certified guides and enjoy a swim alongside majestic sea turtles. Get close encounters with beautiful fish, and explore breathtaking reefs as you venture deep into the waters of the Pacific Ocean. 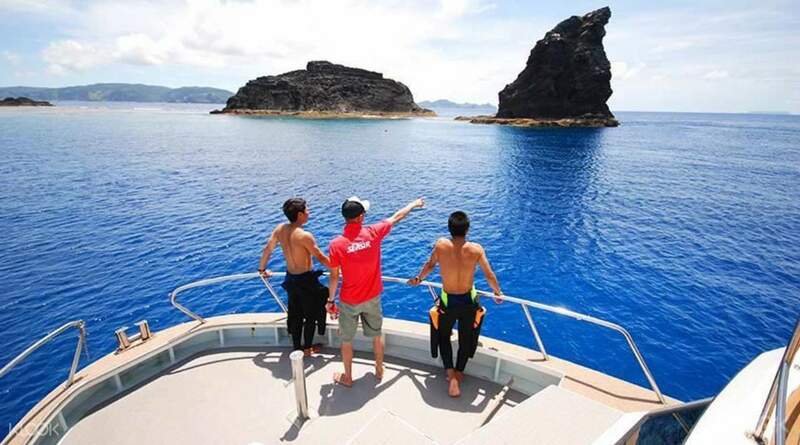 You'll be transported to the dive locations via Love or Lucky, two of the fastest dive boats in Okinawa exclusive to the operator, and be treated to a delicious Japanese lunch between descents. 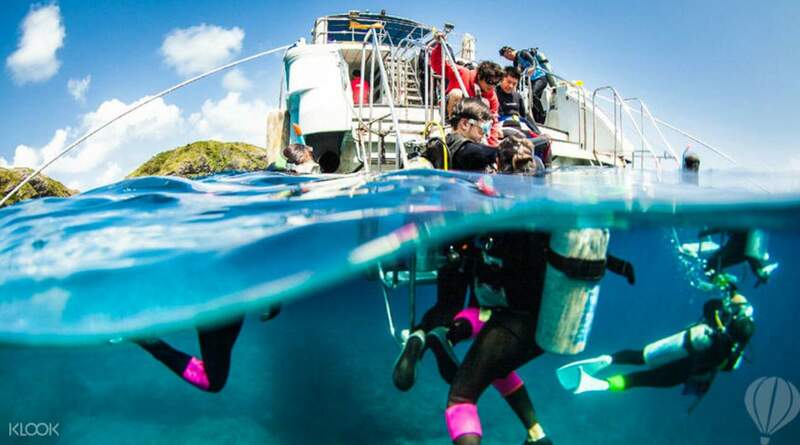 With options for beginners and experienced divers, these diving packages cover all you need for your dip into the ocean, letting you enjoy the vast underwater beauty of Kerama. 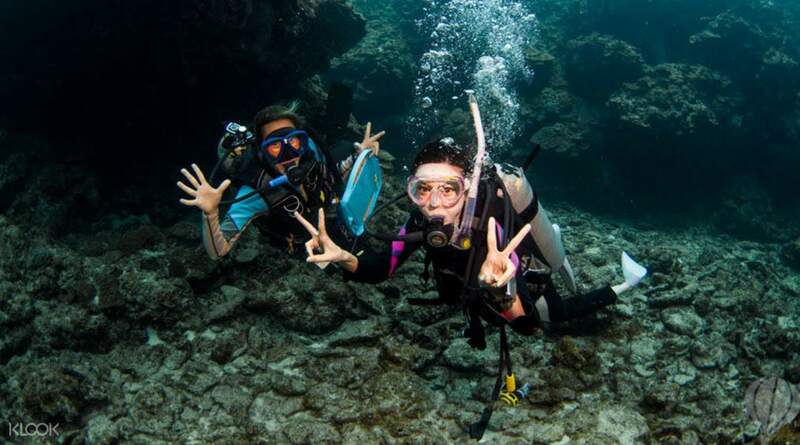 Have a fun and exciting introductory course to diving and in Okinawa's beautiful waters no less! Starting with a quick introductory lesson to diving - or a refresher course for those of you who are certified divers! 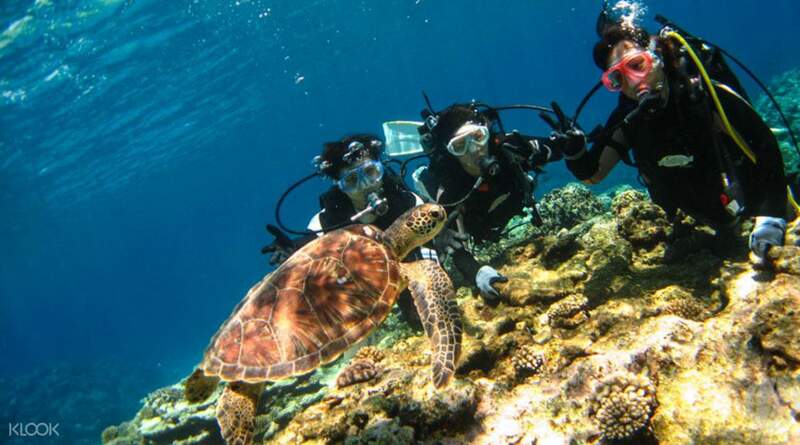 Get a chance to swim with majestic sea turtles and other fish as well! One of must-go activities in the Okinawa! All the crew members were nice and kind! Diving was also smooth and enjoyable! YiZumi San! Thank you so much for your kindness! One of must-go activities in the Okinawa! All the crew members were nice and kind! Diving was also smooth and enjoyable! YiZumi San! Thank you so much for your kindness! Great service from pickup to return to hotel. It was our first dive and everything was explained clearly and safety was always ensured. Started with snorkeling to familiarise with the breathing and environment. Next was to be comfortable with breathing from the defibrillator. The dive was amazing, one of the staff pulled and guided us underwater. We even saw a baby shark. Great service from pickup to return to hotel. It was our first dive and everything was explained clearly and safety was always ensured. Started with snorkeling to familiarise with the breathing and environment. Next was to be comfortable with breathing from the defibrillator. The dive was amazing, one of the staff pulled and guided us underwater. We even saw a baby shark. I can't speak much about diving as i cant dive due to health reason. 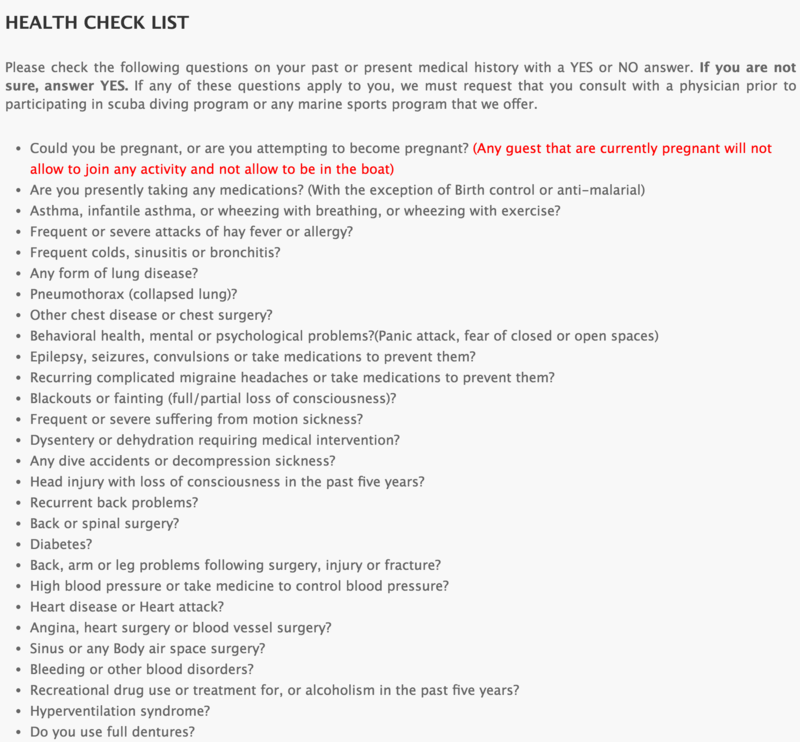 i advise everyone to read the healthcheck list properly before booking and get doctor's letter before coming. my fault actually. Seasir the operator, converted my diving to snorkeling, which was awesome too btw. we snorkel 3 times. staff is professional and great. boat is clean. food is ok. equipment good. view was great. all in all still a great experience. I can't speak much about diving as i cant dive due to health reason. i advise everyone to read the healthcheck list properly before booking and get doctor's letter before coming. my fault actually. Seasir the operator, converted my diving to snorkeling, which was awesome too btw. we snorkel 3 times. staff is professional and great. boat is clean. food is ok. equipment good. view was great. all in all still a great experience. I had an amazing day with this activity. The staff is very friendly and they have English speaking staff. Highly recommended to people who interested in the introductory course. They even provide free picture taking while you diving. I had an amazing day with this activity. The staff is very friendly and they have English speaking staff. Highly recommended to people who interested in the introductory course. They even provide free picture taking while you diving. Prior to my trip, it was cancelled once due to the weather and Seasir staff were responsive via email where they allowed me to reschedule. Had an amazing trip, I went alone and although it was a bit awkward in the beginning, I had a really friendly instructor, Yuki and he made me felt safe during the dive. Instead of one dive, I added another dive (5,500yen) on the spot as the view was spectacular. Prior to my trip, it was cancelled once due to the weather and Seasir staff were responsive via email where they allowed me to reschedule. Had an amazing trip, I went alone and although it was a bit awkward in the beginning, I had a really friendly instructor, Yuki and he made me felt safe during the dive. Instead of one dive, I added another dive (5,500yen) on the spot as the view was spectacular. Went snorkeling and diving (twice) with Seasir, they are really the best! Although there might be some language barriers, but the instructors are skilled and will ensure your safety. Photos are also taken beautifully, cant wait to come back for more dives! Thanks so much for the wonderful experience!! Went snorkeling and diving (twice) with Seasir, they are really the best! Although there might be some language barriers, but the instructors are skilled and will ensure your safety. Photos are also taken beautifully, cant wait to come back for more dives! Thanks so much for the wonderful experience!! 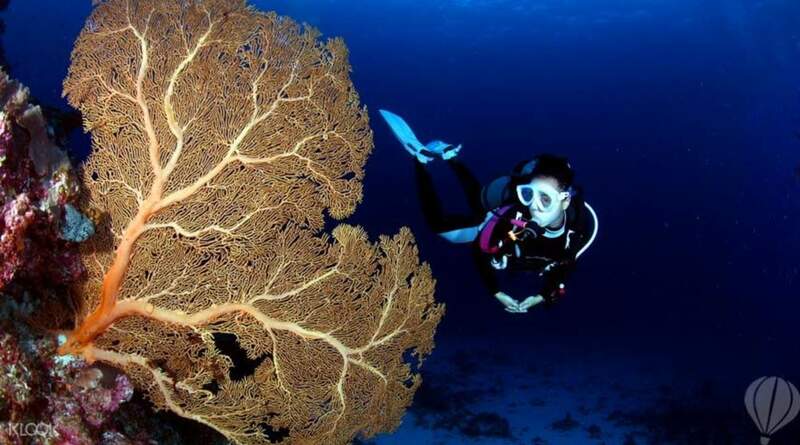 We are truly satisfied with the diving experience. The coaches are very sincere, helpful and patient with us since it is our first diving experience and she has helped us to take lots of good pictures under the water. The diving spots have a lot to see and we can see turtles as well. We are truly satisfied with the diving experience. The coaches are very sincere, helpful and patient with us since it is our first diving experience and she has helped us to take lots of good pictures under the water. The diving spots have a lot to see and we can see turtles as well. Q: If children aged 0-5 can't join the activity, can they still take the boat ride heading out to sea together with paying adults? Q: Will the location for diving have underwater cameras available for rent?